You knew it wasn’t going to be long. After an offseason chock full of Madison Bumgarner trade rumors, things have been quiet during the first two weeks of the regular season. That ended on Friday, when Jon Morosi of MLB Network said that the Phillies are already doing their “due diligence” when it comes to making an offer for the big left-hander. 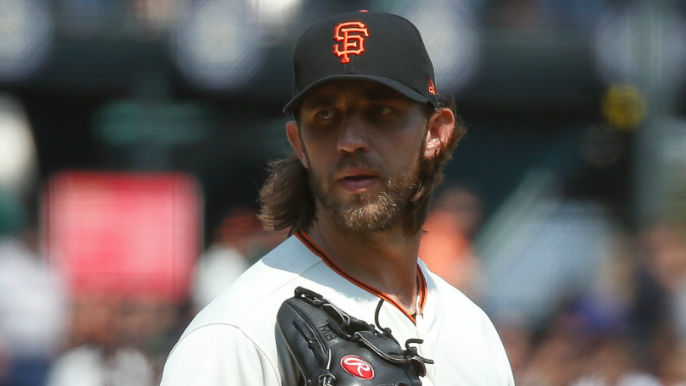 “I believe they will,” Morosi said in regards to the Giants trading Bumgarner this season. “And certainly the relief pitchers, I would say the likes of (Sam) Dyson, (Tony) Watson. They’re going to be moved without much trouble, but Bumgarner is going to be a difficult emotional decision I think for the Giants, but it’s the right decision to trade Madison Bumgarner. Morosi has reported Phillies interest in Bumgarner since the offseason. Philadelphia has been incredibly aggressive in pursuing All-Star caliber talent in 2019, signing Bryce Harper, Jean Segura, Andrew McCutchen, David Robertson, and J. T. Realmuto this offseason. Though he’s yet to record a win, Bumgarner has been stellar in his first three starts of 2019, with a 3.32 ERA and 0.947 WHIP in 19 innings.